Das Best Western Plus Ambassador on Ruthven Motor Inn ist ideal in Toowoomba Stadtzentrum zu finden. Erleben Sie ein schöner Aufenthalt in der Nähe von alle Sehenswurdigkeiten. Bestpreisgarantie und exklusive Angebote. Willkommen im Best Western Plus Ambassador on Ruthven Motor Inn, einem schönen Hotel rund 2 km nördlich der Innenstadt von Toowoomba. Unsere gut ausgestatteten 34 Zimmer bieten ein entspanntes Ambiente mit jedem modernen Komfort, darunter High-Speed-Internet und Umluftklimaanlage. Zur weiteren Ausstattung gehören unser Restaurant mit Gerichten à la Carte, die Bar und der Swimmingpool. Reservieren Sie noch heute im Best Western Plus Ambassador on Ruthven Motor Inn, und erleben Sie erstklassigen Service und eine günstige Lage in Toowoomba! Wir wünschen einen schönen Aufenthalt. Stayed for 2 nights with my partner and requested a special request for a late Valentine's, they prepared the room above my expectations and provided a beautiful display of roses that was perfect and romantic, I couldn't have hoped for anything more special than they did. The room was exceptionally clean, comfortable bed, relaxing spa with rose petals. Room service was excellent with breakfast. The staff were excellent in their service. It was very private even in the pool area. Definitely recommend and will return to enjoy its ideal restaurant Seasons. We were very happy with our stay, 10/10 for Best Western Ambassador on Ruthvern, Toowoomba. "It was like visiting an old freind"
With my work i visit Toowoomba at least three or four times a year for two or three day at a time. It is realy nice to know that there is a great place to pull up with some of the best food Toowoomba has to offer, service is second to none and the place is always very clean.This time round the room i was given had the bath and a show but the bath was stand out for me as it is round 4 foot deep and 7 foot long(OMG) the beds have always been very comfortable so a good nights sleep is never in doubt. I no longer even look at other places to stay as this is and has always been the one stop shop. Belinda was very lovely and accommodating to my requests. Nothing was too much trouble. The room was very clean and the bed was comfortable. It is also quite close to everything we needed. I will defiantly stay there again. We needed emergency accomodation as our house settlement was delayed. Feeling extremely disappointed we decided to get room service. We ordered lamb rump and beef eye fillet which was cooked perfectly. But sadly the next day when we checked out regretfully my husband left behind his quote book. After checking with the cleaners nobody had found his book. However a staff member went over and beyond and rummaged through the rubbish and found it. Thankyou in our eyes we would highly recommend your motel and restaurant. "Comfortable rooms but misleading breakfast costs"
rooms and service are very good. tight car park but location easy to access although tom tom hard to find and signage minimum. be careful where they say breakfast included as extra room service charges apply at checkout when after staying there found out only room service available. also same breakfast each day with 2 days extra $17 charged and one day $extra 32 charged for same food?? Receptionist was lounging at the pool and took quite some time to get to reception to attend to me. No breakfast was provided on the Saturday morning when we were leaving and reception hours were poor. Rooms are well presented, very clean. The restaurant food is brilliant the Rib Fillet and the Chicken Breast is to die for so tasty. Helpful in parking a larger vehicle and overall a bute stay. Helpful in parking a larger vehicle close to room. Good selection in the bar. We stayed here for one night to enjoy the last weekend of the Carnival of Flowers. It was so good to stay here and rest after walking around most of the day, enjoy some breakfast included to the value of $20.00 which was easy because only a continental breakfast was on offer (being a long weekend and public holiday the cook was on leave - was explained when we checked in so not much we could do about it but have breakfast in town if we so wanted and forgo the included breakfast - so we let it be) Also we found out the night we stayed the restaurant was closed - but this is usual being a Sunday night. We got something to heat up in the microwave. So if you want to not have to go out to eat best stay when the restaurant is open. The room was very comfortable, modern and clean and we had a good sleep. The Shower had good water pressure and the water hot. It was quiet even though the Motel is located on busy Ruthven Street but this makes it well located not far from the central business area. The Manager was pleasant and welcoming. We would stay here again - and will be sure to check first if the cook is working. "Decent accommodation, clean and comfortable"
Stayed 2 nights and were happy with our stay. The rooms are clean, comfortable and well presented. Perfectly fine accommodation if you're looking for something mid-range. There's plenty of parking on site and a restaurant attached. We didn't eat at the restaurant but it's very highly rated and was packed out on Saturday night. We wanted a hotel/Motel with easy access to town but with a great restaurant within walking distance.This fit the bill nicely. The food was exceptional, beds were comfy, shower hot with lots of pressure and a quiet place to stay. The presentation of the hotel was very good and all staff were very courteous and professional. the room was well appointed with quality furniture and fittings. the pool area was generous with plenty of guest amenities. We stayed here for just one night and found it to be different to what was advertised online. It is ok but a little dated and musty. Also for the price there are some wonderful boutique hotels in Toowoomba charging less. Stayed 1 night while working in the area. Check in was easy. My room was at the rear with covered parking. The room was modern and clean and was quiet with no road noise. The bed was very comfortable. The included breakfast was a $10 credit towards the cost of breakfast which really covered about half the cost so that was disappointing. Wonderful visit to Toowoomba, made even more pleasant by the comfort of the Best Western Plus Ambassador on Ruthven. I should mention that I stayed in one of the upper floor upgraded rooms. On arrival, I was told I had an upgrade, which was very nice and much appreciated. The room was one of several on the upper floor. However, the upper floor rooms are not all connected. They are set apart, with two rooms facing each other at the top of a flight of stairs. This had pros and cons. The main good point was that you were not disturbed by anyone in a neighbouring room. The only downside was navigating a quite steep and relatively narrow flight of stairs with luggage. I was fine with the stairs, except when it came to lugging my suitcase up and down on arrival and departure. I am sure I could have asked for help, but my A-type personality got in the way. I had a king size room, and the facilities in the room were ideal for my needs. I was in Toowoomba for a conference, and had to spend quite a bit of time working in my room at the motel. The complementary wifi was a blessing! Excellent speed. Breakfast was included as part of my booking, but it actually was $10 off the cost of room service breakfast. The prices were very reasonable, though, and the food was delicious. Overall, the service was excellent and, based on my experience, the motel was exceptional for what it was. I'm sure I'll be back. Passing through so only stayed a night. Was adequate for what we needed. Rooms were spacious and nicely decorated. Bed was comfy. Chose the breakfast option in the price, but not what we thought...room service choice up to the value of $10 each...enough for cereal and toast. Not come across that option before. A bit of road noise but didn't interrupt sleep. Rooms were quite expensive but being a Best Western member, a little discount. Welcome pack did not appear, and host didn't help with this. Staff seemed a little "I'm not interested", which was a little off putting when you arrive. "The Worst Place In Toowoomba"
Myself and my wife decided to go to Toowoomba for a night and chose this place to stay one night. The room was dark and next door gusts who seems to be permanent tenants had meetings outside our room for sometime and it was disturbing. No privacy. Toilet had cockroaches in them and I killed them before my wife sees them. Chairs were shabby and second hand. The worst was the managers who called me names in front of my wife when I complained about breakfast . They then said that we will now charge you more on your credit card so you never complain again. You will be doing yourself a great disservice if you book in this place. With degree of hostility to travelers ,I am puzzled as to why these people are running a hospitality business. It is very sad indeed. "At the ripe old age of 20 yrs it is still the best"
"Still the best in Toowoomba"
I'm not much for words so I will be brief. I found it clean and comfortable, the staff were very friendly and the price was quite reasonable. If you want the Ritz, you pay for the Ritz, but if you want to rest after a long journey, I highly recommend staying here.This has been my third visit and the only disappointment was that the restaurant was closed on a Sunday. The food is delectable. "Lovely motel, very modern and very clean"
We stayed two nights and found the room very comfortable and clean. Under cover parking was great. The only disappointment was that while there was coffee/tea making facilities the only cutlery was two teaspoons, so we couldn't have our cereal for breakfast. Next time we will be more prepared. "DON'T BOOK HERE - terrible rooms and terrible customer service." The air-conditioner was smelly, filled with mould inside and kept switching itself off. The bed was not comfortable and the bedhead was all tattered and worn out with flakes falling off onto the pillows. The shower pressure was like dribble. The toilet seat was more for like a kids seat. I was getting ready on the first morning and house cleaning knocked on the door and entered straightaway not waiting for me to answer the door. The next day after I left for the day house cleaning came in and fixed up the room and left the door unlocked. One of the towels had brown bits on it, I left it on the ground in the bathroom to be collected by house cleaning to wash and surprise it was placed back up on the shelf where the clean towels were. The breakfast was cold and rubbery and they charged $5 for a long black! ALL THE ABOVE WAS REPORTED TO RECEPTION HOWEVER THE OWNER WAS A TOTAL GRUMP! "Comfortable at a reasonable price"
With a storm approaching it was good to be able to have my car under the covered parking outside my room. The room was clean and a good size. Wifi was included and worked well. I found the bedding comfortable, whilst my room was located along one side, noise from traffic in Ruthven Street was noticeable during the evening and morning. I thought the room was good value for money. Perhaps the issue that needs addressing where the 2 down lights in the bathroom above the mirror did not work, whilst the TV hand control only hand some buttons operating. Sound volume only went down, not up. Channels could only be changed down, not up, whilst the '6' button didn't work. So the logic would be to use the controls on the side of the wall mounter 'eleven' branded TV. Pressing the '+' volume button caused the TV to switch off, whilst pressing the power button, didn't power up the TV. I did discover that press the '+' button numerous times that the TV switched on. Driven to distraction, especially as Chanels dropped out due to the passing heavy cloud/storm. "By far and away the best place to stay in Toowoomba"
This place has very good clean rooms that have lots of space and are fitted out with every thing you need for a comfortable stay. Hot water and good shows in each room I have stayed in (5 visits now over two years) some rooms open up on to the pool while other are set back of the road and are nice and quite. Room service is great with large breakfasts and good Coffey. Meals of a night out in the restaurant are to die for and this place is always full with customers no matter which day you show up. Highly recommend this motel to every one. Hand basin had clearly not been cleaned and the cereal bowl provided for breakfast was disgusting. When we voiced our concerns, they were not interest and offered no solution. In the past if there was ever a concern elsewhere, we have been offered a discount or the problem was rectified by staff but not in this case. I recently stayed here overnight on a business trip. I was disappointed with the rooms and restaurant. Firstly the restaurant: the meals are very overpriced, for a starter we had the sour dough with garlic butter...this was amazing. For main meals we ordered the pork belly which we felt was extremely over priced for the tiniest bit of pork that without any exaggeration amounted to one forkful of meat and the rest was fat. We also ordered the free range chicken which was a little undercooked for my liking however my husband was happy to eat it. The mushrooms and hazelnuts were an unusual accompaniment but were nice. The room was clean and a a decent size. Unfortunately the bed was uncomfortable and the aircon turned on and off all night so it was freezing one minute and hot the next. The shower is very small and awkward, a word of warning, get the temperature right before you get in as there is little room for movement and you risk scalding yourself! Overall the room is a bit tired looking and could do with an update. Upon check in the lady at reception was helpful and friendly, I had planned to let them know I was disappointed but the gentleman at check out seemed in a rush to get me out of there and didn't even ask how my stay was. Wouldn't return, there are too many options in Toowoomba that I have had better experience with. A lovely motel, the room was spacious, spotlessly clean, the bathroom was big with a spa bath. Breakfast was really good. Friendly staff. Nice pool area. Not to far from everything. A really nice motel. Great value for money, the rooms are a great size. Parking was a little strange for our room but other than that everything was great. Beds are firm but comfortable with plenty of pillows. We enjoyed our stay. "OK there was good & bad & my rating is on service alone"
On check in the man was preoccupied with something on the computer that he wanted to share with someone else in the office and I found him very keen to get me out the door and a little rude. Our paperwork said we had a free buffet breakfast only to be told they don't do them and we could choose from their Continental breakfast but only up to $10 each after that we had to pay. There was no apology for false advertising. I was not happy with this as it was one of the reasons we chose this accommodation and I will make a compliant from where we booked the accommodation. The room was fine and comfortable, no problems there except no milk for tea and coffee and by the time we noticed they were shut so I guess he missed this on checkin as he was preoccupied. On checkout I had a lovely lady, no problems there. Working in an industry were there are no second chances of a first impression it's essential the customer standing in front of you is welcomed with warmth and a kind heart, not much to ask for ... it's free. This hotel was very good, stayed for one night and had dinner in their beautiful restaurant, the food was just amazing and the staff were really friendly and attentive. Room was good and nice and clean only one thing, the toilet seat didn't fit the toilet, it was way too small but easily fixed. Would highly recommend and would definitely stay there again. Stayed one night, should have stayed two. A professionally managed motel, with large well appointed rooms and bathrooms. Would stay again.The room and bathroom were clean and functional. The bed was very comfortable. "Overpriced for what you get"
We stayed 2 night on a self drive touring holiday. Room is dark and small. Bed was firmer than we like. Shower leaked water all over the floor of the ensuite. Worlds smallest toilet seat! Shower was claustrophobic. Tea making facility was tiny. Like many motels of this era there are insufficient powepoints for the modern age of electronics and nothing has been done to rectify this. The "sofa" was hard and not comfortable. The room and ensuite were clean. Great spot, run by top staff. Facilities, location etc are great. Access to relaxed bar and top food in the Dining area at reasonable prices is terrific. Looking fwd to the day that smoking is banned on site ! Stayed for three nights. Rooms were clean with ample amenities. Restaurant attached to hotel was good. Pub across the road and shopping centre a short walk up the road. Short drive to the centre of town. Friendly staff. Just an easy experience overall. "Ok to stay with parking "
Well sized unit nbr 25 ground floor. with separate bedroom, living and area next to the bath like halfway with single extra bed. Tub was really small and shower a bit dark. All in all is ok for couple of days. Tv in room did not work, not blaming as I did not really file a request to get it checked but would be nice all is fully functional without having to ask. No issues or much interaction with hotel staff but all in all seemed pretty ok. Can't compare with other hotels in area. My parents and I stayed here for a night. We were from out of town, but found the motel very easily. Onsite parking and the free-WIFI was excellent. The room was clean and comfortable. Staff were friendly. We arrived in town earlier than expected and kindly allowed us to check in earlier as the room was already ready. Prior to our stay, the number of people staying in our room, changed. I called ahead. The staff were very accommodating. Property is a little out of town, but easy to access with a car. Our room was at the rear - important to avoid road noise. The room has been renovated and was well presented and clean. Didn't use the pool and it didn't look very inviting, but I's sure it would be welcome on a hot day. There is a restaurant on site but we were put off by the poor nonline reviews, and ate in town. "Very comfortable, CLEAN great staff"
The room looked amazing, plenty of room. There was plenty of spare blankets of top quality (which I needed, being from Townsville). CLEAN sheets, CLEAN everything, heated bathroom. Front counter staff and cleaning staff very helpful and friendly. Stayed a night at the hotel on our way through Toowoomba. Room was nice, comfy bed, etc. Sadly, went to the restaurant attached and was disappointed. Paid top dollar for a steak and wife's pasta. Could have got the same at the local tavern on the cheap steak night. Put a bit of a downer on the night. This establishment was booked through Expedia in July for one night on 22 Aug 2017. The quoted rate included Breakfast Buffet. There was no restriction listed on the confirmation email from Expedia. At check-in, it was mentioned that breakfast was only available for room service, and it only included continental breakfast. That was not our understanding of out reservation which clearly stated Breakfast Buffet...not continental Breakfast Buffet. So we ordered continental breakfast. On checking out this morning, the management demanded an additional $9 odd because we had ordered over the $20 PP for breakfast. This was news to us, and i challenged this. The manager was most unpleasant, and while I indicated no such restriction had been included in the confirmation email, he pressed for the $9 extra charge. I told him I wasn't going to argue any further and that I would pay it and advise Expedia. With that he dropped it. Credit goes to the restaurant for a very nice dinner well presented. The room was well presented and equipped, except for those ridiculous pumps of unlathering shower gel, shampoo. I doubt I'll ever be in Toowoomba again, but if I am I won't be staying here. "A great place to stay for business"
Stayed at Ambassador on Ruthven for two nights while travelling on business. Well located, great restaurant, clean, comfy bed and great internet speed. A little bit of road noise but this didn't interrupt my sleep. I've stayed in other motels in Toowoomba previously and will definitely be back. We recently enjoyed another stay at this motel in Toowoomba. Good clean motel with good facilities. Easy parking. Free Wi fi excellent room service breakfast. Easy walking into the cbd. Good value motel. Has a great restaurant but not open Sunday nights, but we have eaten there before. I booked this hotel based on reviews and images but should have looked at the address more closely! For Ruthven St substitute New England Highway and that might have set off a few bells... The good things - close to a large shopping centre and a few pubs so meals are easy to get. The room was clean, bed comfortable and bathroom huge. It must be pointed out that this was a more expensive room as well. The not so good - reception not very friendly either on check in or out - obviously not chatty people. The really bad - I asked for a quiet room on my online booking. I got a room overlooking the Highway next to the dumpster. 4am the trucks started screaming past and didn't stop, then if you weren't awake already, the skip bin was emptied at 6:30am right outside the window....I think I had the absolute noisiest room in the complex quite a customer satisfaction problem given my request for a quiet room. If you have to stay here avoid rooms up from #30. "Great accommodation with a brilliant restaurant "
We stayed here for 2 nights while we has appointments. The room was great and the restaurant had a great choice on the menu. The staff were very attentive and very great value. I would highly recommend this Motel in Toowoomba. Everything about our week long stay at the Best Western Plus Ambassador was good, except the breakfast tray which was missing one or more items 6 out or 7 days. Office staff were approachable and helpful. The cleaning staff were very good. This was our second stay at Ambassador on Ruthven and I can conclude whilst it is clean and has good general amenities, it is basically unremarkable. We did appreciate the small mini-bar which is often absent in Toowoomba motels. This older property has been pleasantly refurbished, but it is starting to show its age. Bathroom tiles are quite slippery and the towel rail is dangerously placed at eye level near the bathroom door. No shower cap is provided and there is a lot of ambient light at night. You can turn off the microwave, TV, digital clock and a/c, but there will be still be some outdoor security lights and the red dot on the fire alarm to disturb those who prefer pitch darkness. Our major annoyance was the fact that the bathroom door was jammed shut when we woke up in the morning. No one was around at reception early on a Sunday, so it didn't put us in a good mood when we had to wait to shower and pee! Once aware of our problem, the receptionist immediately provided us with a knitting needle to spring open the lock mechanism - clearly this had happened before. Overall, with a number of new motels having recently entered the market, I am not likely to stay here again for a relaxing weekend. This motel is better suited to business travellers who benefit from being Best Western regulars. Stayed in a two bedroom apartment. The room had everything we needed (well equipped kitchen) and had a good sized lounge/dining area. Lots of light which was great. Couches a bit hard. Free WiFi. Excellent housekeeping and really lovely people. The hotel is on the highway, so there is quite a bit of traffic noise. While it is walkable to town, it is a pretty uninspiring walk. This motel is super comfortable, quiet and with a good restaurant. The food for the room service comes from the restaurant and they must have a great chef because it is an innovative and most delicious menu. Top this off with friendly staff and it makes it a great place to stay when visiting Toowoomba. "Over rated and over priced"
Stayed here 3 nights our room was just of the main road. It wasn't noisy over the weekend but quite noisy Monday morning. There was a mini bar which we didn't use, mugs glasses tea coffee and small pkts biscuit no toaster. The motel is about 10 min walk from the town centre all flat. Can't complain as we got a good deal, the room was Nice and clean, bed comfortable so suited our needs. "Not a perfect experience while staying "
Frankly speaking this motel is very clean, room service everday, but the location of room provided for a week was a shocker. Right next to the laundry. Parking is a pain with almost 270 degrees entry/exit position. Extreme caution is required to park car everyday. Noise from the main road is not pleasant as well. "Cancelled our Booking Despite confirming it 24 12 hours earlier"
I booked this motel on the Qantas website but there was a problem with the booking. So I phoned the hotel directly and they told me Qantas had been in contact to confirm the booking but The motel staff member assured me they would hold two rooms in my name just in case the email from Qantas didn't come through. I provided the motel with my credit card details. The receptionist assured me the two rooms, one upstairs and one downstairs, were booked in my name. The next day- 24 hours before the arrival date - the manager phoned to say they couldn't confirm the booking and that only one room would be available. They had given the other room to another person. This was incredibly annoying and so I cancelled the complete booking. That same day Qantas advised the motel had debited my credit card for the full booking. The motel staff were incompetent. There are plenty of other accommodation places in Toowoomba to choose from. This one won't be on our list in future. "Stayed 2 nights over new year weekend." Very nice motel with undercover parking and pool, staff were friendly and helpful. Nice room with plenty of space and large bathroom. Air-con work well as it was very hot outside. Had a kettle and microwave but no toaster and no plates or bowls or cutlery. "Best in Toowoomba! Clean, comfy, efficient staff & affordable"
"Clean , comfortable but don't expect any welcome. " This motel, unfortunately, is indicative of the Australian hospitality industry. Greeted by 'the restaurant is not open' tonight and we can only supply a cold breakfast' does not go down well with those who have spent hours travelling. Especially when no advice is given as to where one might eat. A friendly smile would also be nice. You don't have to be in a five star hotel to expect a basic friendly greeting. Is this why so many of us choose to travel overseas? Many in the hospitality industry on the Gold Coast have discovered that pleasant staff are good for business. It appears that Toowoombah has a lot to learn. Hi Peter. A motel is a 24 hour 7 day a week business run by families and small business owners WORKING over the holiday period while their staff have a break so your comments are simply unjustified and rude. Since you were staying on the Boxing Day public holiday we are sorry that you were disappointed that our restaurant was closed but 99.9% of guests are understanding under the circumstances. The Coffee Club and other eateries down the road were suggested upon your arrival and you did not mention you were not happy at the time. Our guests are always greeted with a warm welcome but since you were tired and weary from travelling, and judging by your review, not a lot was going to make you happy. Motel rooms are pretty standard layout but very clean and well furnished so a more pleasant experience. Location is a little out of town but a short drive. The restuarant again is far better than a motel average with great service and good food and a nice setting I would go to for dinner even if not staying there. For a business trip very happy overall. No breakfast except room service being the only negative comment I have. The reception staff are really lovely, however we were not happy with original choice of King with spa as it is on the 2nd level with access up stairs and no access to a terrace. Also, the TV channels didn't work so we requested a room change to one that had a terrace on the ground floor. We were offered a Queen bed room, which was much more pleasant as it opened out to a lovely green and private area (even without king bed and spa bath). We ordered breakfast of granola, and eggs benedict, which was nice, however our latte and cuppucinos were only warm and needed a minute in the microwave to reheat. I would rate this place slightly higher, but a $40 breakfast with cold coffee broke me. I would stay here again and hope honest reviews like this one help it to improve! This is a standard highway-style hotel which pays just a little more attention to detail than most. Our room had a comfortable chaise lounge as well as two desk chairs. The beds are perfectly adequate, although not quite like sleeping on a cloud. Wi-Fi is fast. The bathroom is quite spartan with toiletries placed in wall dispensers. The shower cubicle is quite small. Staff are efficient and helpful and the location is quiet, despite being on the highway. You really need a car as there are not a lot of shops within easy walking distance. The attached restaurant was busy on a Saturday night. Overall, we had a pleasant hassle-free stay. Going to the Toowoomba Carnival of Flowers is not just a one day event. Packed the car for a road trip to the region to have a good look around and over night stay. We pre-booked the BEST WESTERN PLUS Ambassador on Ruthven Motor Inn before we left. No deposit required just the credit card number as security. This was a great place to stay. Very friendly greeting on arrival with friendly staff and an excellent room with comfortable beds, coffee and tea making facilities, and a clean and modern bathroom. It also has an on site restaurant and on this night we chose from the extensive menu and had room service delivery with a couple of glasses of local wine. This motel is close to shops, pubs and although a little out of town has the advantage of being set back from the road with little road noise at night ensuring a good nights sleep. An excellent place to stay if visiting the Toowoomba region. This motel is a short drive from the CBD, easy to locate and well maintained. It is set back from the main road so is in a quiet location. Car parking not overly generous for todays larger vehicles. Room was spacious and quiet, the window coverings did let quite a bit of light in from the outside night lights until they are turned off sometime during the night. The bathroom although clean and spacious was poorly designed but overall quite happy with our overnight stay. By far the best hotel I've stayed in in toowoomba. The rooms are a good size and completely modern. The bathroom is fully renovated complete with spa bath. The room service menu is very extensive and the meals are delicious. Staff are very friendly. Will definitely stay again on my next trip. Friendly staff, comfy room, modern, tea and coffee making difficult, no bench room for it, but overall really nice, close to town, one of the best restaurants in town there, and a pub just across the road for a cheap counter meal or drinks. "A great place to overnight in Toowoomba"
Nice friendly staff, easy check-in and quiet well appointed rooms which were spotless! Surprisingly good restaurant in a suburban motor inn. Meal was exceptional (serving lobster no less), great selection of wines and a short walk from our room. We'll definitely stay here again! "Exceptional standard at a reasonable price!" Lovely motel. Friendly staff, very accommodating. Ideally located just north of the city centre at 200 Ruthven Street. Excellent standard in room presentation . Ease of access to the room. Generous parking at front of each room. Fully equipped mini bar with chips , chocolates and peanuts available in every room. Room service breakfast served late until 8.45am! Even a last minute extension of stay was accommodated without any hesitation! Highly highly recommend this motel for anyone venturing up to Toowoomba for a trip. Based on my stay , I can honestly say I cannot fault this motel and look forward to coming back very very soon!! "Basic accommodation on a frosty night"
Stayed here on a very cold night in Toowoomba in July. Hotel room was suitable, shower door leaked a little. Reception was civil but gave no extra information, almost like they assumed I had stayed before (I hadn't) and knew everything, don't even think he told me my room number! But still a clean and tidy place to stay. We don't stay in motels every week but this would have to be the best room we've ever stayed in and we are in our early 50's. Quiet position, room was clean & modern, bed was fantastic, no squashy car park. The only downside was the person at reception lacked PR Skills. Would certainly stay again. My first impressions always count for a lot when I book and stay at a motel and this one didn't let me down. It was conveniently located to the centre of town compared to a lot of others. The motel and grounds are well maintained and inviting. The reception was friendly and helpful even offering advice on things to do during our stay. The room was big enough and very nicely decorated and appointed with a homely feel that immediately made you feel comfortable. The bathroom was modern and clean with lovely big thick white towels. The bed was comfy and it had good air conditioning and undercover parking. If there was a negative it was that the lighting was not good enough for reading. Would definitely recommend. "Great location and excellent restaurant "
Great and close to the city. A few extra touches like cutlery and plates for our own breakfast would have been good to make our stay even better. The restaurant was excellent with great service and lovely food. Great location and the service and rooms were excellent. If you're staying in Toowoomba I recommend that you stay here. Breakfast on the morning of departure was excellent with big servings and arrived promptly at the room. The added ability to earn Qantas Frequent Flyer points is a bonus. This would be our 3rd stay at this property. Always happy with our room. It's clean and tidy and modern touches in the room. Good value and handy location, it's quite in the back room no road noise ensuring a good nights sleep. Very comfy beds. The restaurant offers excellent dining, eaten there each time and never been disappointed. Our stay was marred by a problem in our room and the attitude of the Manager in charge. I am glad we did not have a major problem, as I doubt we would have received any assistance from this man who was uncaring, unhelpful and untruthful. I would suggest that future guests personally phone and check that the facilities advertised are actually provided, and read all reviews - good and bad. 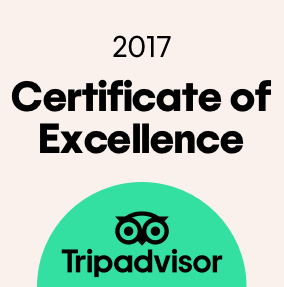 We booked this through the Qantas website, part from giving us heaps of points, we were very happy with our choice in a quiet part of town but on main road, great bed wonderful service would stay again. Has a restaurant but closed on Sunday night, wonderful breakfast next day. First time in this motel and once I located it, I was pleasantly surprised. Staff were very welcoming which was great because I had had a long day. The room was very nicely and thoughtfully appointed with fridge, microwave, tea&coffee etc. I decided on room service for dinner and the food was amazingly good! Portions were generous and I had enough left over for lunch the next day. Toowoomba is so lovely in Autumn and I can highly recommend a stay at the Ambassador. Great clean rooms with quiet surroundings, undercover parking, complementary wifi and a secluded pool not to mention easy access to city centre. Friendly staff accommodate for late check in. On site restaurant with great menu. Will be coming back. Another overnight Toowoomba stay so I tried this hotel. It is close to town, 25 minutes walk or 5 minute drive, and very comfortable. There is a 7-11 shop over the road which was helpful. There are cheaper options available but this very much met my needs for a solo stopover. We had a rather large family gathering and are very pleased we decided to stay at The Ambassador on Ruthven. The owners where very helpful in every way and the rooms where very clean and comfortable. We all thoroughly enjoyed our stay and would highly recommend the motel and restaurant. We will definitely be back. Thanks Gavin & Melissa:) Michelle F.
We enjoyed our family trip to Toowoomba, the owners Gavin & Melissa made our stay very enjoyable. We had a 2 bedroom unit that even had laundry facilities that came in handy when travelling with a baby. Our queen size bed was very comfortable. We had some great meals in the restaurant and the service was great. Looking forward to visiting again. "The rooms were clean and well appointed and the restaurant was wonderful"
We found the room to be clean and well appointed. The bed was comfortable and the venue was quiet, with no street noise. Our meal at the restaurant was very enjoyable. The motel is situated on the northern end of the main street and with this in mind, we were surprised that we heard no traffic. We would not hesitate in recommending this motel to anyone. "Great overnight accommodation close to Spotted Cow Hotel"
The motel style room was spacious, clean & tastefully decorated. A nice touch to have a proper sink and microwave as well as a fridge. A modern bathroom with a walk in shower. Gardens were beautiful and this accomodation was within walking distance to our function at the Spotted Cow. "Highly accommodating late at night"
"Very pleasant accommodation... highly recommended!" Very pleasant overnight stay at this Motor Inn. We booked a King bed non-smoking room which was on the upper level and overlooked the pool area. I have NO complaints about this property... everything was exceptionally clean and nicely appointed. Room included mini bar which we didn't use but there was a nice selection if you were so inclined. Tea/Coffee facilities provided in room were of a good standard i.e., lovely clean cups and nice cookies etc., just a bit above average. Breakfast was VERY good with quite a few options and of a standard you'd expect in a cafe. We chose to dine in the adjoining restaurant 'Seasons on Ruthven' which was VERY nice. I will review the restaurant separately but suffice to say that if you're staying at this Motor Inn, the adjoining restaurant is a GREAT option! This will be our place to stay when next in Toowoomba! We love our Best Western Motels and were delighted to find this one! Lovely comfy beds with roomy bathroom and nicely decorated. Onsite Restaurant for dinner was terrific - service and food/wine very yummy! Happy friendly staff made for a welcome overnight stay after a long day's driving. Beautiful room, spacious, clean and nicely decorated. All this in close proximity to town and at a very reasonable price. I would recommend it to anyone. We just stayed one night and although breakfast was only available via room service it was a great place with friendly and helpful staff. "Acceptable but not Wi-Fi friendly"
We stayed in a 2 bedroom family suite which was very roomy with acceptable facilities and friendly staff . The " unlimited" Wi-Fi access is a non event as we were only allowed one or two devices for our room and for a family of 5 with older children, this was not enough. The Wi-Fi speed was slow and dropped out intermittently. For what was advertised and what we paid for the room, it was disappointing. The room was great. I was travelling for work by myself and felt very comfortable staying here. The food at the restaurant was excellent and service fabulous, even on a Monday night. Air conditioning was needed and it was very quiet. Room was a decent size, clean and the bed comfortable. Reception staff were also very helpful and approachable for anything. "On a Main Road- Helpful Staff"
Easy to find, has undercover parking and was motorbike friendly. The young lady on the front desk was also very helpful- when I asked for a map and some interesting sights to see in Toowoomba, she was very forthcoming. Not the greatest motel I've ever stayed in, but it did the job and the price was value for money. Would I stay there again- yes! We took our UK visitors for a trip to Toowoomba and stayed at this motel. We had stayed once before. Rooms very nicely presented. Happy to stay there and will return. Great on site restaurant where we dined. Rooms clean and nicely decorated. Towels were lovely and thick. Very comfortable good sized rooms. Clean bathrooms. Comfortable beds. Popular restaurant which was booked out the night we were there. Room service was good and the food delicious. Quiet area even though it is on the main road. Staff friendly and helpful. Undercover parking. Would stay again. What a gem! Great service and beautiful room - congratulations to owners/management. Room was comfortable and clean - definitely recommend . We arrived late and also had a beautiful dinner in restaurant attached to motel - we will be back !! Motel is a a quiet street, away from town, but not far. Excellent value for money. Clean, big rooms. Staff very friendly and happy to answer any of your questions. Would happily stay there again on a future trip to Toowoomba. One of my favorite hotels to stay for business or for pleasure. The Ambassador team are so welcoming and accommodating with nice design rooms. Their restaurant has the best selection of delightful meals for all taste buds. Ok folks the Ritz on Broadway in Manhattan is 4 star. Not this place. The room was a 1 maybe a 1+ as it was clean. The restaurant well for 169$ was amateurish at best. Starters Tasmanian oysters and scallops took a full hour to arrive. The oysters were stale and the scallops were covered in butter and some kind of cheap bread crumbs. The main was to be baby snapper. One side dry and chewy the other Boney and dry. I had been on a plane for the best part of 48 hours and not eaten a decent meal for such time. As such I could have eaten the hide off a baby rhino. Anyway this is mom and pops fish and chips at best. If you are stuck at this establishment the order Pizza Hut or Chinese take out. It may not be fine dining, but it will fill your hungering tummy for 1/4 the price and the an caliber of food. Oh and the staff well nicely said were not nice at all. "Good Motel, Great Restaurant, great hospitality"
Room here was large and comfortable, one of the nicer rooms, although oddly these rooms were also those facing the busy main road. There was a bit of traffic noise, even with the door closed, and the traffic eased off a lot in the evening, so it wasn't obtrusive. Room had a very generous bathroom, good in size, comfortable sofa (not just a chair) and bed. This place is on the main road north from Toowoomba, about a kilometre out of town, so not the best located if you want to walk out and wander the streets. However there is a restaurant on site. The restaurant was excellent, really nice food and an absolute highlight of the stay. One of the best meals we have eaten anywhere, and the restaurant staff in particular were very friendly, helpful and attentive. Great hospitality. This hotel is in a very ionvenient location and is both mogern ands in a c well presented. Rooms are modern and clean. The swimming pool is also well maintained and comfortable. I would definitely stay here again. The hotel looks great, looks to be recently built or renovated. The staff were welcoming, friendly, and helpful. The rooms looked great. Nice and open, comfortable and clean. There is an assortment of products available in the bathroom. I didn't feel at all cramped in the room, and there was plenty of storage. The hotel had a pool and restaurant on site, but you also aren't too far from the centre of town for more food options. The price was good for the room. The room I had fronted onto Ruthven St but I didn't have an issue with excessive road noise. I will be happily staying there again. "A fabulous welcome & wonderful people. Can highly recommend this Motel." A lovely room & had been recently redecorated. Great value & Melissa & Gavin great hosts. The motel has a pool & also a restaurant & we ate dinner & breakfastin restaurant. Chef does a great job & food was to perfection. Melissa & Gavin have only been at motel for 2 months but they are very keen & welcome you whole heartedly. Grounds are extremely neat & tidy & a great deal of effort goes into making sure that you are happy & comfortable. We can highly recommend staying at this Motel in Toowoomba. "Fantastic value for money, clean and comfortable"
I stayed here because I had to work in Toowoomba and the room was very modern, clean and comfortable. All the staff were lovely and friendly. We had dinner in the restaurant and the Ocean Trout was delicious followed by the Creme Brulee - OMG! I can highly recommend this motel and restaurant. Booked the motel as it had a reasonable restaurant on site and we had planned to have a special treat / celebration dining experience that evening. We were turned away from restaurant as a wedding party had been booked that evening. Management offered us room service, but our evening had been ruined, and the moment lost. Then on leaving we were charged for the service in our bill. On booking had I been informed of the closure of the restaurant , fair enough, our celebration could have been enjoyed else where. Ruined our special evening. "Nice location and clean, but expensive"
We stayed 3 nights here during the Toowoomba festival. Modern motel with a very good restaurant, Seasons. Ample parking and friedly reception. But at over $200 per night, it was expensive for what it provided. Maybe partially due to when we were there, but for $200 plus I expect a 4 star room. On a busy road, but never heard in the room and road at night is dead quiet. "Well presented and quiet location"
Spent two nights here midweek and found it to be a very clean and well presented motel. The rooms were recently renovated and spacious. The only downside was the poor lighting for bedside reading and for the desk space. The breakfasts were good and served with a smile. There was also a good pub opposite. Despite being on a major road the rooms were very quiet. First impression with our room, wow, but once in room for a few days not as good as it looks, shower leaks water onto floor, bad door seal I think, very, very small kitchenette/sink far too small to wash up in and nowhere to put washed cups, plates etc. we had our own bowls, plates etc. staff very friendly, bed comfortable, just little things that were a bit irritating. Our 3 night stay at Ambassador Motor Inn on Ruthven street was delightful. We were greeted with a smile at the reception on our way in. A lovely lady was there to meet us who was extremely kind and welcoming. The restaurant (Seasons on Ruthven) which is also on the property is also highly recommended, as the staff were lovely and made our stay extra special! Toowoomba also has many attractions which add to the entertainment and were great to visit in our spare time and truly wonderful for the kids' sake. Thank you! Wonderful service, outstanding food and modern day call. The restaurant was great with the staff really friendly and providing us with a wonderful experience. Price was reasonable and I recommend staying here. "ambassador on ruthven motor inn"
the check in and the room were excellent. However the restaurant (Seasons) was terrible. The service was poor, the staff were new with no training, the food was poor (two totally different oyster varieties, one very good the other very poor) 2 hours to receive our main course, my wifes seafood meal cold, and the owner/manager of the motel saying our bad experience was our fault! Strongly recommend against this place.